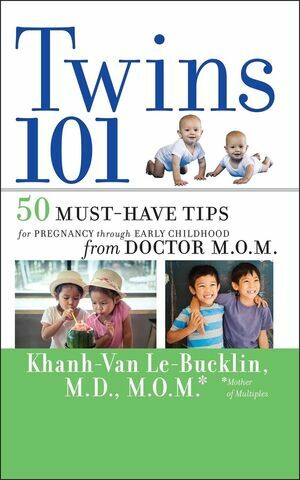 "A must-read for expectant or multitasking mothers of multiples by an academic pediatrician and mother of twins, Twins 101 provides practical tips and wise words in a readable style that fits into the fast pace of these mothers’ lives." Dr. Le-Bucklin's new parenting book is the first by a pediatrician who is also a mother of twins. No other pregnancy and parenting book for multiples offers this unique and much-needed perspective. Twins 101 features practical advice and well-researched information in an easy-to-read format. From maintaining a healthy twin pregnancy to meeting the daily challenge of caring for twins, Twin 101 guides families through each stage with insightful tips, practical advice, useful resources, and inspirational stories.